University of Wyoming School of Law, Laramie, WY, 1971 J.D. Brigham Young University, Provo, UT, 1968 B.S. Allen K. Young is the senior partner with the Provo law firm of Young, Kester, Black & Jube. He has been actively representing plaintiffs in personal injury, medical negligence and wrongful death claims since the 1970’s. Allen has won judgments and settlements in excess of $100 million dollars. 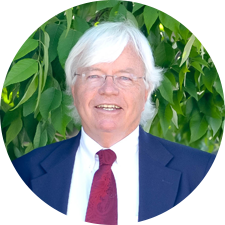 Allen has served as President of the Springville Rotary Club and as President of the Utah County Bar Association. He is an A/V rated attorney by the prestigious Martindale-Hubble independent rating agency. He donates a percentage of all judgments and settlements to the Springville Rotary to apply to local youth scholarships to Utah Valley University, as well as to international aid projects supported by Rotary International. In the 1980’s, Allen successfully represented residents and land owners of Thistle, Utah, in claims against the Union Pacific Railroad. After several years of litigation, a Utah County jury concluded that the Union Pacific Railroad was a cause of the historic Thistle land slide that destroyed the entire village of Thistle. The jury awarded the plaintiffs the value of their lost properties as a result of the railroads’ negligence in continuing to annually remove the “toe” of the Thistle mountain for the efficiency of its operations. In the 1990’s, Allen and famed trial lawyer, Jerry Spence, from Jackson Hole Wyoming, successfully represented almost 2,000 individual former steel workers against USX Corporation. The steel workers had claimed that USX violated federal laws when it had idled the Geneva plant, which had always been profitable, to avoid the plaintiffs’ attaining additional pensions and benefits. The successful judgments in federal district court resulted in settlements for back pay and pension losses in amounts greater than 50 million dollars. Allen represented a family in their wrongful death claim against a large construction company and the state of Utah. The father was killed in a motor vehicle accident on I-15 when the construction company failed to properly warn motorists of the known hazards and dangerous conditions created by the construction in progress at the time on I-15. The dangerous conditions caused several wrecks within feet of where the clients’ father was killed. After a lengthy trial in August 2009, the valiant jury awarded over 4 million dollars in damages to the family. Allen has practiced in Provo for over 40 years and continues today to represent catastrophically injured plaintiffs against governmental agencies, corporate defendants and liability insurance companies.